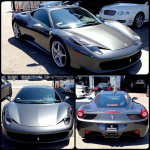 Ben Baller aka K-Town Hustler has grown up a lot in the last few years and it surprises me a little to see him copping a Ferrari 458. 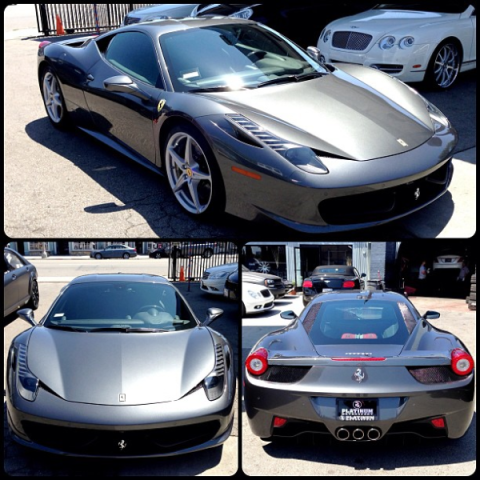 I’m guessing it has something to do with his good buddy Nicky Diamonds hoping out with the freshest 458 I’ve ever seen. Anyways, Baller just picked this thing up and has dropped it off with Platinum Motorsports for who knows what. We can’t wait to see what the PML crew does. 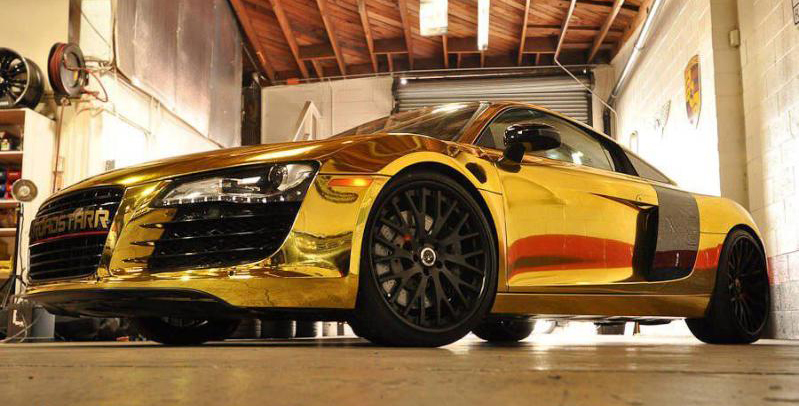 Tyga teamed up with Roadstarr Motorsports to create this gold chrome Audi R8. At first, I thought this was just a cheap vinyl wrap on the car but after I saw it in person – I realized it was actual paint! This is a very impressive car and even though it might be too loud for most people, the quality is there. 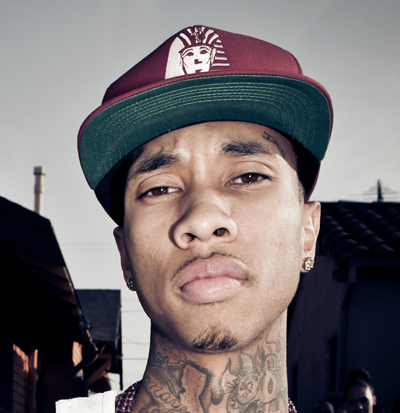 Love to see people take chances with their cars and Tyga did just that. He got a lot of publicity from it as it is going to be featured in DUB Magazine. The wheels are staggered matte black 20″ wheels. I would have liked to see some more creativity with the wheels, no point in going conservative with the paint job thats on the car. 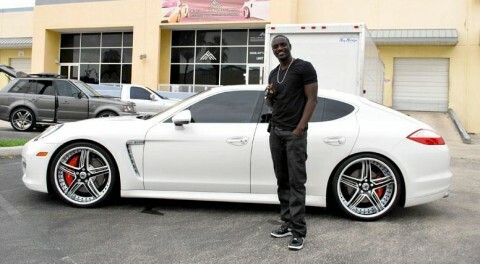 Akon adds another car to his incredible fleet. 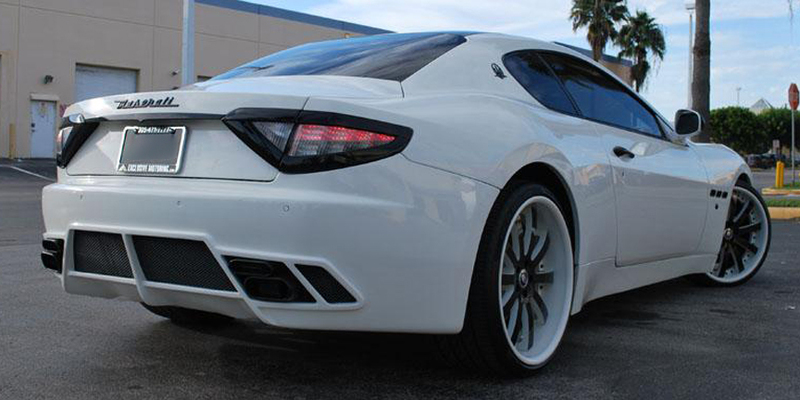 This time it is a white Porsche Panamera with staggered white and black 22″ Savini wheels. It seems like white is the new black this year with cars, especially in Miami. 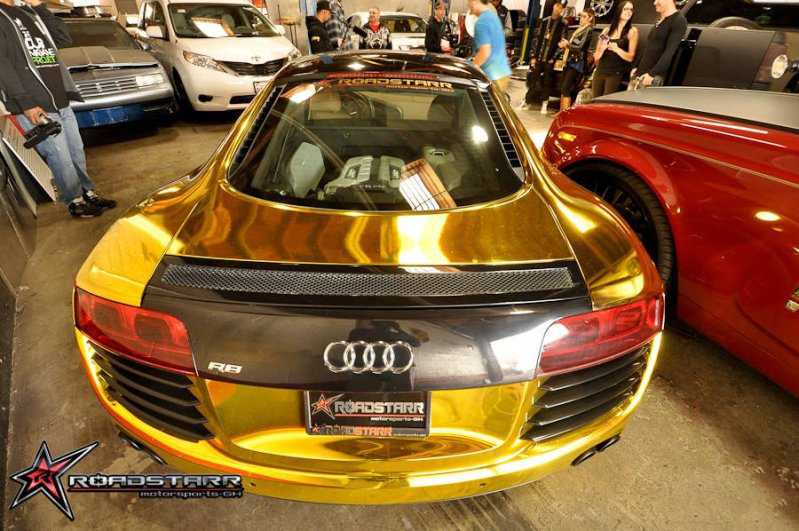 The car was customized by The Auto Firm in Miami. The Panamera looks a little plain without a body kit but the wheels do help. I hold Akon to a higher standard and would have liked to see him take this custom build to the next level with some more black accents and maybe even a Mansory body kit. Christmas Contest | Guess the Celebrity! 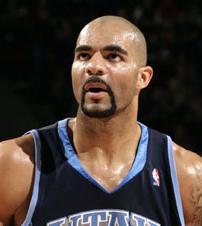 The first person to correctly guess who this celebrity is will win 1 limited edition Need For Speed video game. Hint : It is a UFC fighter. Make sure you register before Friday to qualify for the contest. To register, just click on the Register tab at the top of the page. Win a Need For Speed Limited Edition Video Game! We are excited to announce that we will be doing our first Celebrity Carz contest. We will be posting a picture of a celebrity in front of his car with his face blurred out. The first person to correctly guess the celebrity in the comments section will win a limited edition Need For Speed video game. In the mean time, check out this rare live-action car chase that Need For Speed Hot Pursuit just filmed in the Italian Alps. This is one of the craziest videos I have ever seen and thought it would be a perfect game to give away to our readers for Christmas.